Are you looking for rubbish clearance in Sydney? We are a professional rubbish clearance company who operateall over Sydney. If you are looking for Sydney rubbish clearance services, then we are the people to call – we come and collect all your unwanted rubbish and dispose of it, saving you the time and effort. We have the fully trained and insured staff, the appropriate vehicles, and the permits to the necessary disposal and recycling facilities that are required to get the job done right. Just give us a call, and we can clear your rubbish in a flash. Over the years, we have been carrying out all sorts of rubbish collection and waste disposal services across Sydney, and our Sydney rubbish clearance is a popular service. We are able to collect and dispose of any kind of rubbish you no longer need, be it kitchen waste, demolished furniture, timber, household junk, and so on. You have rubbish? Then we will take it away. We are a fully Sydney registered and licensed waste disposal company who always dispose of all the rubbish we clear in a responsible way. Our customer service team is friendly and welcome any questions you may have about pricing, and booking your rubbish clearance in Sydney. We operate in Sydney on a regular basis and so are the best people to book for your rubbish clearance job. 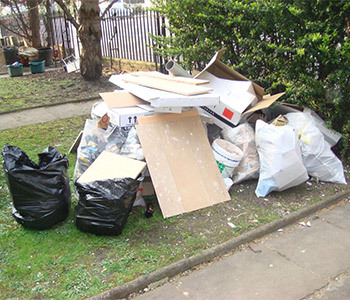 We undertake all sizes of rubbish clearance jobs, either for individual home or business owners, or for larger commercial outfits. Whether you are a small shop, a large hotel, or someone clearing their kitchen, we are the people to call to clear your rubbish. Get in touch with us for a no obligation free quote, we are always happy to hear from anyone interested in our Sydney rubbish clearances services.